"JOIN OUR ROSTER OF SATISFIED CUSTOMERS TODAY"
Have we serviced your vehicle? Please visit our "Reviews" Page, and Create your own review. 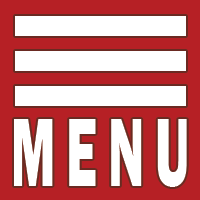 Navigation: Tap the MENU Box above. 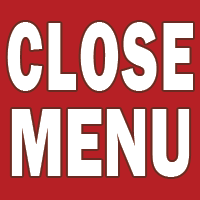 To view our expanded menu, slide screen from right to left. When choosing where to have your vehicle serviced in Burbank California, you must consider the quality of workmanship being performed. At Burbank Auto Doctor we are committed to providing you a successful and pleasant automotive service experience. We have the equipment and technology to diagnose and repair your import, domestic or hybrid vehicles. A Note From Ben: "Thank You for visiting our website. Whether you were referred to Burbank Auto Doctor by one of our Loyal Satisfied Customers, or online, Thank You - Ben Galusha"
People have been collecting cars since the first cars began to be built, so whether it's a 1903 Model T or that classic 1964 ½ Ford Mustang they all come with their own particular problems. Cars are far more complicated today than ever before and Burbank Auto Doctor is dedicated to keeping on the cutting edge of an ever changing industry. The gasoline engine on a hybrid requires the same maintenance as that on any car. In the early days of hybrids, many repair shops were hesitant to work on them, so drivers found themselves having to go to dealerships -- which are sometimes more expensive. The Mechanics at Burbank Auto Doctor are trained and willing to work on hybrids. "WATCH BURBANK AUTO DOCTOR IN ACTION"
Our staff can make your vehicle run like new. Our auto technicians have the skills to correctly diagnose and repair your vehicle right the first time. The mechanics at Burbank Auto Doctor are the California car repair experts; whether you need a brake job, oil change or other services. Bring your car into Burbank Auto Doctor every 3,000 miles for an Oil Change, and a complete evaluation. From 6-month alignment services to general maintenance, we have the parts and professionals available to service your automobile. Our automotive experts are here to serve you and can handle all your service needs, large or small. Check out our selection of car care services and schedule an appointment at any time. & LOOK FORWARD TO SERVICING YOUR VEHICLES.